Whether you want to pursue your hobbies, travel or just enjoy the good life, Employers Resource knows how important it is to make the right choices in today’s tough economic times. Employees want to retire happily and comfortably, with personal and financial peace of mind. These are the hallmarks of a sound, efficient retirement plan. We can help you build that nest egg that you and your employees can count on for years to come. Working with the professionals at Slavic 401k, we guarantee that your qualified retirement savings plan will be administered seamlessly and efficiently. With Slavic 401k, you can keep track of activity in your plan, monitor employee participation, download pertinent reports and much, much more. Our retirement plans are an excellent way to attract and retain valuable employees and let them live the life they deserve. 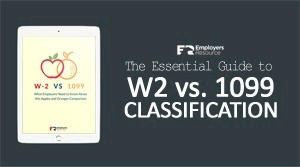 Employers Resource provides the sophisticated 401(k) plan you need to recruit and retain quality employees, at a fraction of the cost of a customized plan. For a fee of $400, you can offer a 401(k) plan to your employees – with no annual costs. Typical 401(k) offerings cost thousands of dollars in setup costs and annual maintenance fees. Cheap Payroll Services: What Are Your Options?